The Polegrove ladies team of, from left, Denise Hodd, Maesi Ramsay, Nicki Dale and Jo Watt which was beaten in the county fours final. Jo Watt was crowned Sussex county under-25 women’s singles champion on Saturday. The Polegrove Ladies talent led all the way en route to a 21-16 victory against England international Emma Cooper (Worthing Pavilion BC) at Preston BC, Brighton. Later in the afternoon, Watt teamed up with Nicki Dale, Maesi Ramsay and Denise Hodd to contest the county fours final against the Worthing Pavilion team of England international Lorraine Kuhler, Cooper, Leah Taylor and Helen Jones. In a tough game, Polegrove managed to get within two shots of the opposition at 10-12, but the Worthing team showed their experience to run out 23-14 winners. Fifteen-year-old Ramsay and Dale reached the county unbadged ‘Trixie’ pairs semi-finals - quite an achievement in their first year of contesting county competitions. They played the Buxted Park BC combination of L. Pugsley and S. Bray on Sunday, and despite putting up a good fight, Ramsay and Dale lost 20-17. Over the season they have both gained points towards their county badges - Dale six and Ramsay five. With eight points needed to attain the badge over a maximum of six years, this is a remarkable achievement in such a short time. 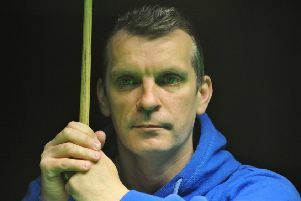 Watt will take on an opponent from Lincolnshire at the National Championships in Royal Leamington Spa this coming Sunday, while in the fours, Polegrove ladies will play a Kent team on Monday.